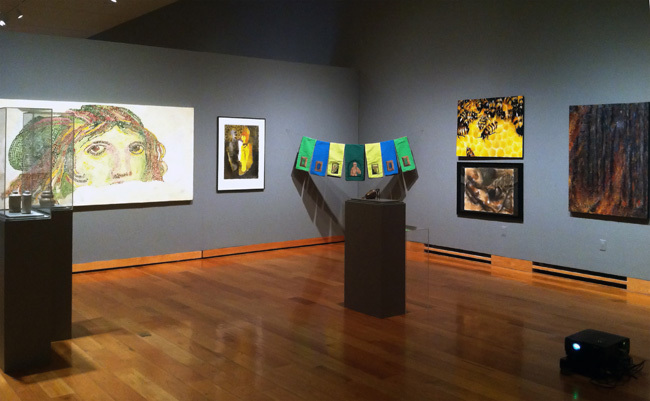 Now in it’s 38th year, the Annual Juried University of Wyoming Student Exhibition is a highlight of the Art Museum’s exhibitions, not only for those who participate, but also for the UW campus and the visiting public. The exhibition is open to any student at UW enrolled in the 2013 academic year. Past entrants have been from such diverse degree programs as computer science, engineering, ecology, and art. Students may submit artwork in any medium, including photography, painting, graphic design and sculpture. This year’s juror is Michael Chavez, Public Art Program Manager with Arts and Venues Denver. A variety of cash and purchase awards are given each year to exemplary works and will announced at the awards ceremony on Friday, February 1, 2013 at 6:30 pm. This exhibition celebrates and recognizes the scope of artwork being created by UW students.